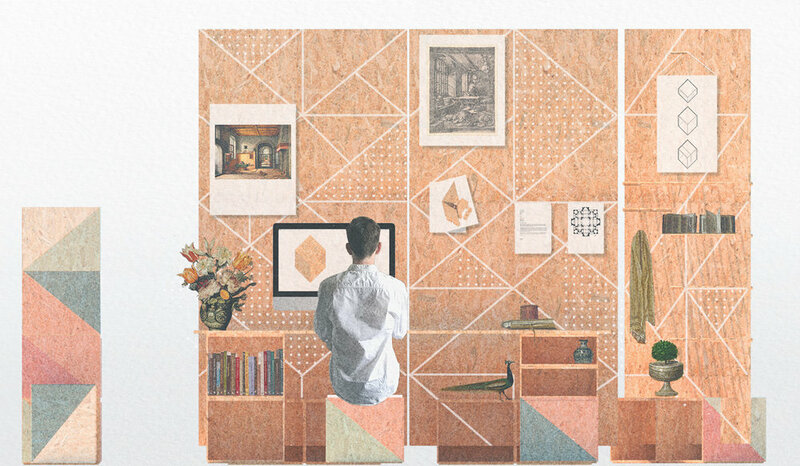 Made from a few simple components (four boxes and a sheet) that can easily be reconfigured, the Kit of Rooms aims to challenge rather than prescribe how we work today. The kit allows the workspace to grow and contract, to be re-configured and re-combined. As you, the work and who you do it with changes you can evolve adapt and expand your workspace to suite the way you chose to work. Much like Saint Jerome’s study, the kit remains open to the external room, its inhabitants and the potential they bring.